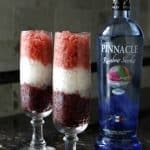 Summer Berry Vodka Granita recipe, an easy frozen dessert with strawberry and blueberry granita with Pinnacle Rainbow Sherbet vodka. Happy 4th of July! If you’re looking for a last minute easy dessert (that could double as a cocktail), this frozen Summer Berry Vodka Granita recipe will fit the bill! 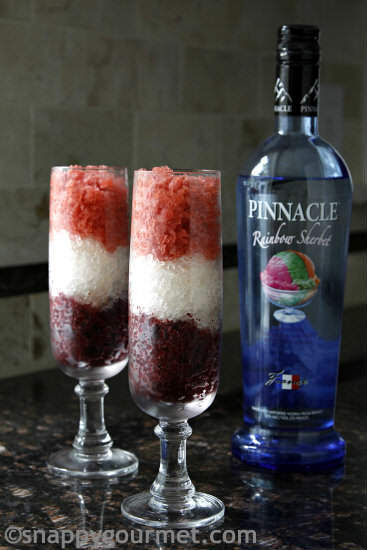 Strawberry, blueberry, and ginger ale granita with a secret ingredient…Pinnacle Rainbow Sherbet vodka! 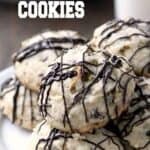 Delicious, and only a few ingredients! 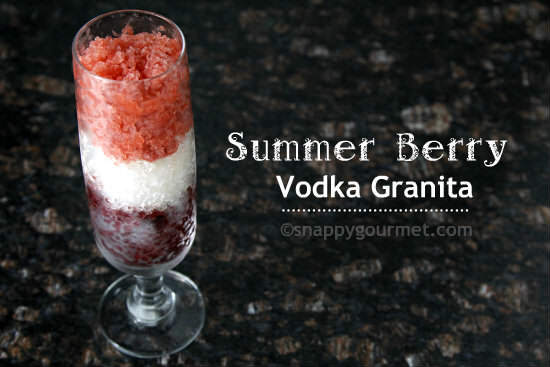 So it’s not quite red, white, and blue (it’s a bit more pink, white, and purple…) but this vodka granita recipes is delicious and perfect for a hot summer day and 4th of July. 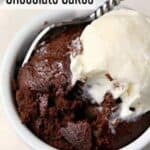 It’s an easy recipe, but does take a few hours since you do need to scrape the ice every 15-20 minutes or so. I used (defrosted) frozen strawberries and blueberries but you could also use fresh berries. If you do use fresh strawberries or blueberries, you may need to add a little more liquid to the blender to get everything smooth. 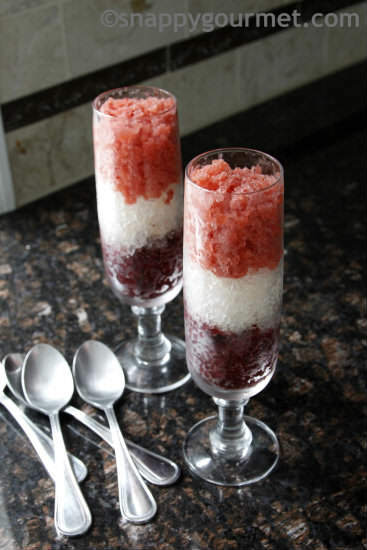 If you’re looking for more of a cocktail rather than a dessert, I’d suggest leaving the granita out for a just a little while so it’s more slushy. 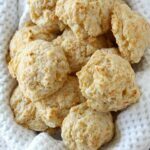 Or you could also add a little ginger ale to the glass to soften it up a bit. Summer Berry Vodka Granita would actually be good with just about any kind of summer fruit and not just strawberries and blueberries, so mix-it up a bit and try different flavors. The Pinnacle Rainbow Sherbet really gives it a nice flavor without being too strong. 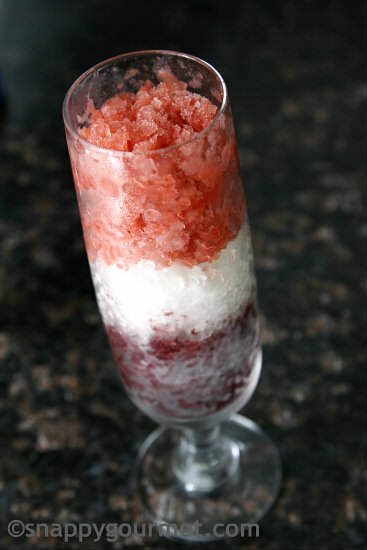 A fun and easy frozen dessert (or cocktail) with strawberry, blueberry, and ginger ale granita with a secret ingredient...Pinnacle Rainbow Sherbet Vodka. Place 1/2 cup ginger ale, 2 tablespoons vodka, and blueberries in a blender. Process until smooth. Strain if desired, and pour into a shallow container, set aside. Mix together 1 cup ginger ale and 2 tablespoons vodka in shallow container, set aside. Rinse out blender, then add remaining 1/2 cup ginger ale, 2 tablespoons vodka, and strawberries. Process until smooth, strain if desired, then pour into shallow container, set aside. Place all containers flat in freezer. Every 15-20 minutes scrape around container edges, repeat for about 2 hours or until frozen. 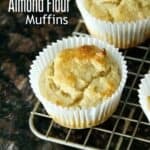 Store in freezer until ready to serve. 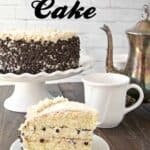 Scrape with fork as necessary and spoon into serving glasses or bowls. 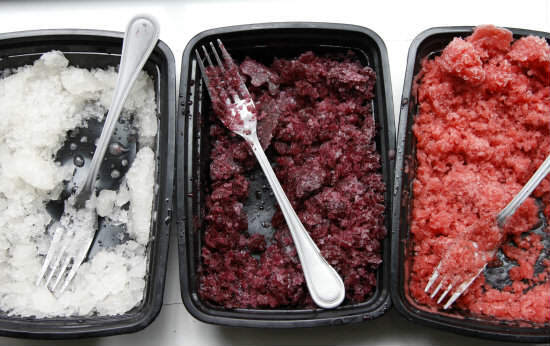 SNAPPY TIPS: Be sure to scrape sides of container every 15-20 minutes or the granita will be difficult to scrape. 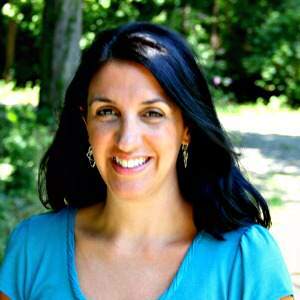 SNAPPY SUBSTITUTIONS: You can substitute various types of fruit for strawberries or blueberries. 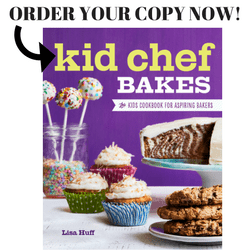 You can substitute lemon lime soda for ginger ale or different flavors of vodka for the rainbow sherbet. Lisa, this Summer Berry Vodka Granita is quite the stunner! I’d love to have one, two, three glasses full! Pretty and refreshing. 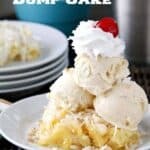 What a great thing to serve to 4th of July party guests. Have a great holiday! Looks very refreshing! Can’t wait to try it!